The ‘Vic’ is an independent English inn, owned and managed by the Holkham Estate, standing at the gateway to Holkham park and the National Nature Reserve. The Vic is just a few minutes’ walk from the wide golden sands of Holkham beach and is the perfect base for exploring the coastline and the picturesque seaside villages of the north Norfolk coast. The Victoria’s ten bedrooms are all individually decorated with an emphasis on style, comfort and quality. Cots and children’s beds can be accommodated in many of the rooms. Dogs are welcome in some rooms and, in addition, three kennels are available for our four-legged guests. The cooking is simple and elegant and wherever possible the kitchen uses produce grown and raised on the estate. 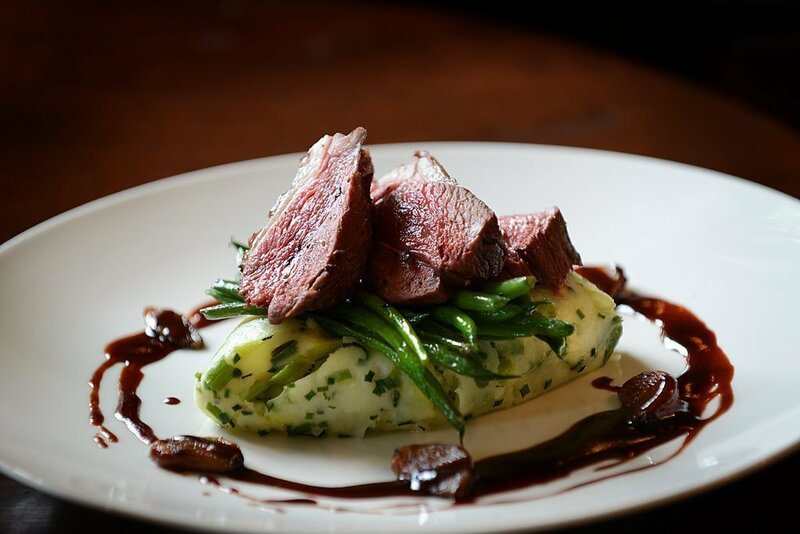 Beef comes from the herd of cattle that grazes the freshwater marshes, venison from the Fallow Deer in Holkham Park and lobsters and landed at Wells quay, less than two miles away. The Victoria Inn has 20 individually furnished bedrooms. 10 rooms are located at The Vic, and a further 10 are located opposite in Ancient House. Well-behaved dogs are welcome to stay in the rooms at The Victoria and are also allowed throughout the ground floor areas of the inn. Dogs are not able to stay in the rooms at Ancient House. Secure kennels on site are also available if required. Nik Hare and his team at The Victoria use local, fresh and seasonal ingredients from high quality suppliers in the area. Their venison, beef and game come from the surrounding Holkham Estate. 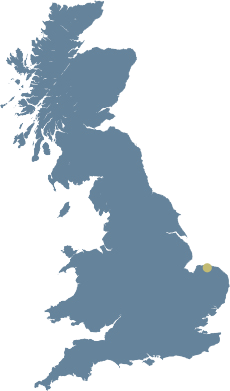 They also source crabs from nearby Cromer, mussels from Brancaster and cheeses from the nearby village of Wighton. Step out of the front door and into Holkham National Nature Reserve, home to some of the country’s most delightful walking and cycling routes. Meander through the purple fields of lavender during the summer months and in winter catch the sight of thousands of migrants birds coming home in the dawn sunlight over Stiffkey Marshes. Right next door to the inn lies the magnificent Holkham Hall, which is still lived in by the Earl of Leicester. The family take great pleasure in sharing the house and its treasures, the deer park and Holkham Beach with its visitors. Enter through the impressive marble hall and explore the statue gallery before taking in the remarkable library and the peaceful chapel. Standing proudly at the heart of Norfolk’s undulating fields is Bircham Windmill, which looks just as it did around 100 years ago. Visitors will enjoy climbing the five floors up to the fan stage to see the sails turning, before returning to ground level to the tea room and gallery, gift shop and even the mill’s own bakery where kids can learn how to bake the perfect roll. From walking trails and cycle routes to sheep milking and pony riding, it’s the perfect day out whilst staying at the Victoria Inn. Also close by is the Fakenham Racecourse, where events are held all year round. With a friendly atmosphere, it is a great place to enjoy the thrill of horse racing. For nature lovers of all ages Morston Seal Trips are only a 15 minute drive away and nearby Pensthorpe Nature Reserve is a perfect picnic spot. Additionally, Hunstanton Sealife Centre is a great day out, home to amazing discoveries and exciting marine displays. Houghton Hall is fantastic museum and state rooms open for public viewing. including frequent art exhibitions. Take a stroll around the stunning sculpture garden and vast deer park. Holkham Hall – on the doorstep! Holkham National Nature reserve – on the doorstep! 10 of 20 guest rooms are dog friendly with a £10 charge per dog per stay. Call to request. Maximum of 3 dogs per room. Dogs welcome in all public areas including the bar and restaurant. Dog beds, water bowls and dog treats provided plus kennels if required.